Two giant voices together on one little record! 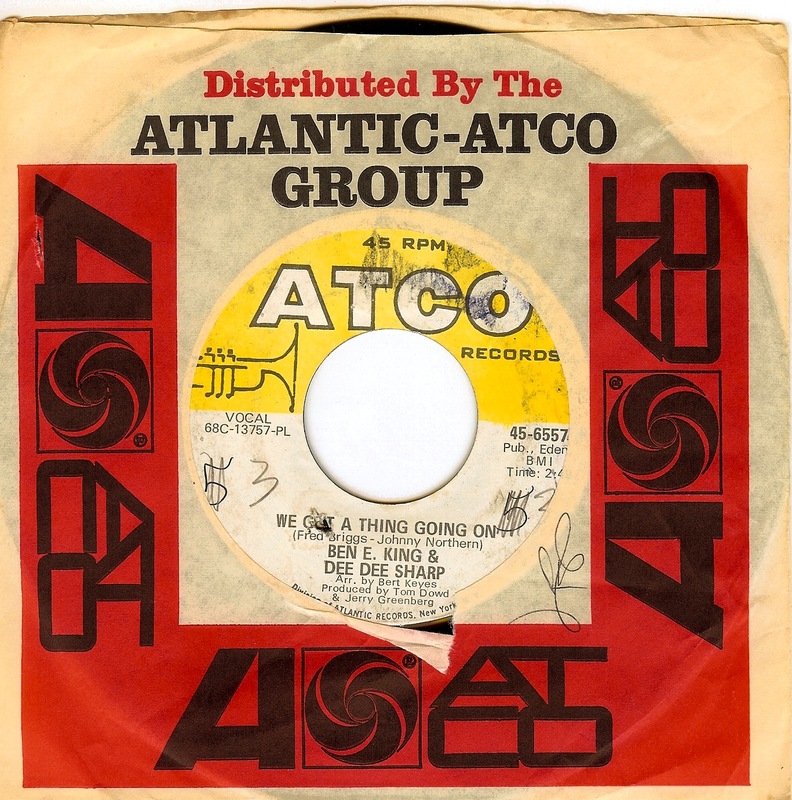 Philadelphian Dee Dee Sharp saw moderate success after her smash hit solo debut (her first recording was an uncredited duet with Chubby Checker "Slow Twistin'") at 17 years old ("Mashed Potato Time"). 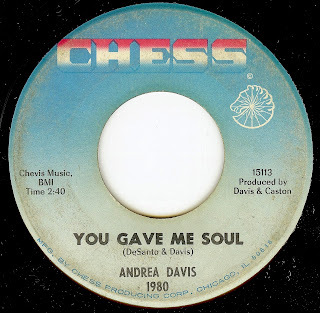 Dee Dee's voice gained more power as she entered her twenties, and this record (along with the immortal "What Kind Of Lady", a past 45 of the day) show her to be a force of nature to be reckoned with. While many singers can wail away, Dee Dee was in CONTROL of that powerful voice. Of course Ben E. King needs little introduction; his work with the Drifters and on his own are some of the mos immortal, beautiful sides in all of music. Here, he shows his rarely heard rough side, and he truly wails right alongside Dee Dee. And the band, whoever they are, lay down some serious heat beneath them. Whoever had the idea to pair these two up deserves an award; it's too bad that they at least didn't get the REward of a hit single. 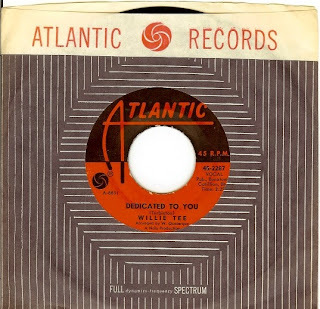 Somewhat remarkably (please pardon the pun), the Frank Wilson listed here is NOT the same FW that wrote a number of hits for the Motown stable (and also cut the legendary and probably world's most valuable 45- "Do I Love You (Indeed I Do"), althought THIS Frank Wilson also ended up working with Motown! 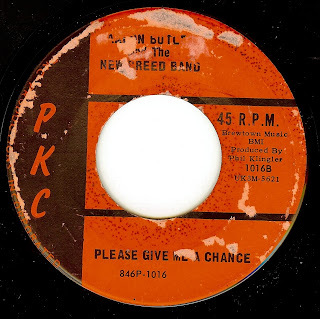 As part of a Los Angeles sibling act known as The Wil-sons (not to be confused with another bunch of southern California singing Wilsons), Frank Wilson found his group broken up while he was just entering his 20's in the early sixties. 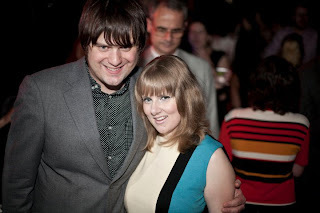 He began staff writing at Del-Fi, and after getting a contract with the Audio Arts label the Wilson siblings re-grouped for two releases that went nowhere. I especially love Virginia Wilson's catchy, haunting and almost spoken vocal line which MAKES the song, in my opinion. 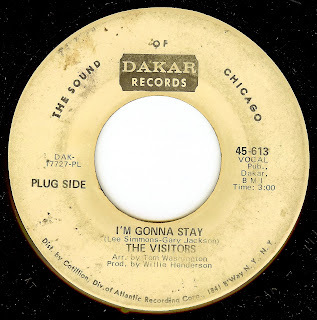 Frank Wilson himself turns in a fantastically smooth vocal as well, and remarkably the groove and horn arrangement has a very Motown-west feel. One would be forgiven for thinking that the source city of this record is Chicago, as it NAILS the sound of the windy city from the last year of the 60's, from the steppin' beat to the bubbling bass in the style of Bernard Reed. 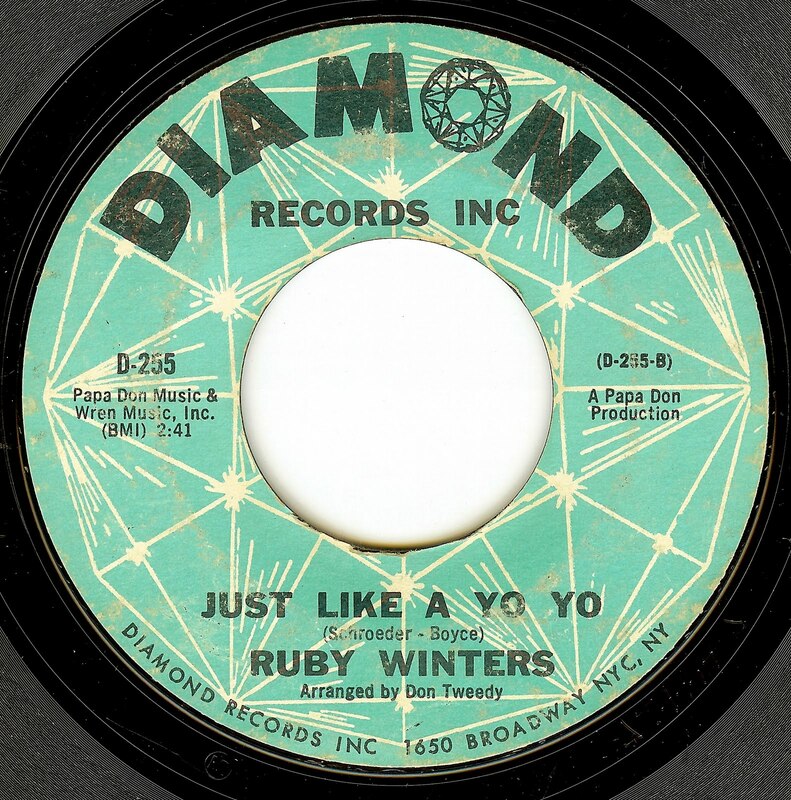 Ruby Winters, a native of Kentucky, grew up in Cincinnati (which is where her recording career began). 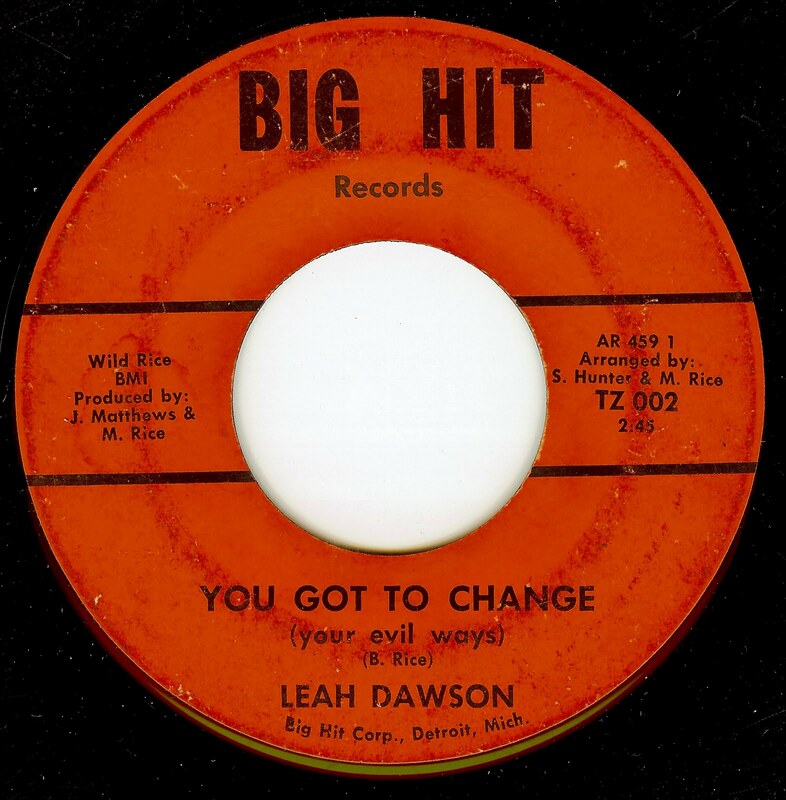 Sadly, she never had any national hits in the 60's, but did have one fluke national chart hit later in the 70's. This New York group released three LP's in rather quick succession in the early 70's and disappeared from the scene completely. By the time of this single (which is also on their excellent 2nd album, "No Time To Burn"), the band had lost some of their horn section, but it seems that the personnel loss just drove them to be an even stronger unit. 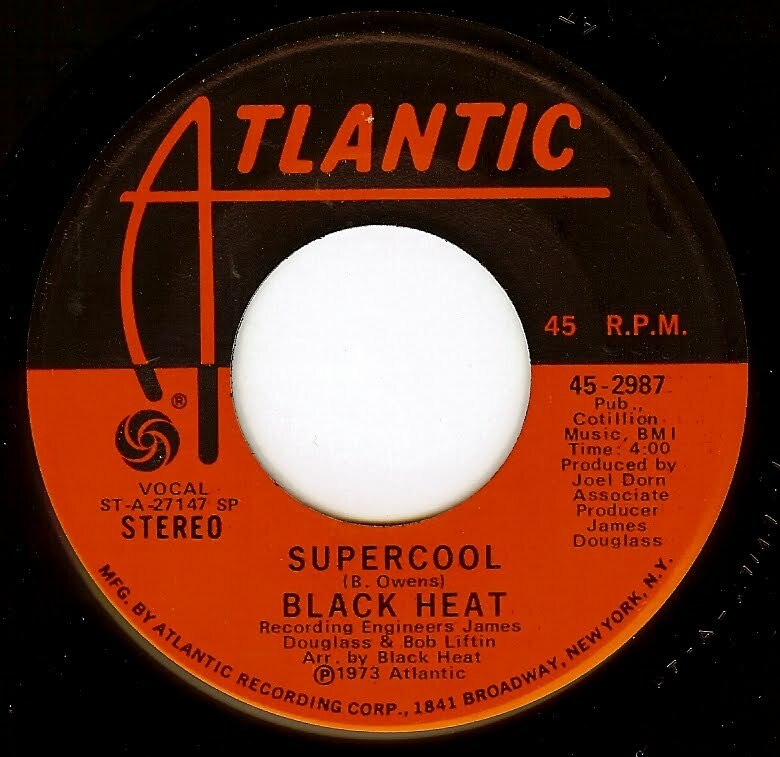 Unlike many of the funk outfits of the time, Black Heat put a strong emphasis on their songwriting; an aspect that makes their music stand out dramatically from so many other rhythm oriented outfits. Over at the Daily 45 Facebook page, I'm having a ball re-posting long expired posts like this one, either by request or the chef's whims. Long before she joined 70's disco/funk band Brainstorm, Belita Woods released two top notch singles on the tiny Moira label, of which this is the first. 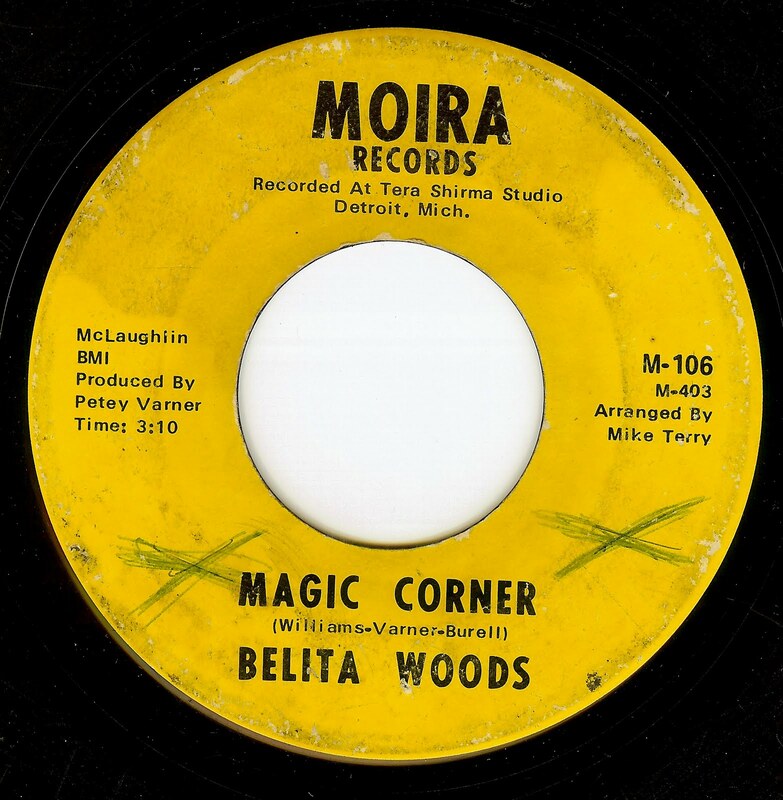 Both sides are showcases for her powerful voice, and both songs are top shelf Detroit soul. Belita has been a member of the _Funk gang for many years, and still has the strong pipes that drove these tracks into the ether. Major Rolling Stones connections with this one; not only was the record produced by Stones bass man Bill Wyman (who also managed the band), it was also cut during the Stones "Satanic Majesties Request" sessions with Charlie Watts thumping on some tabla drums. The connection is easy to spot, as this track takes on the otherworldly sound of that LP, and a Stones version easily could have improved that LP. 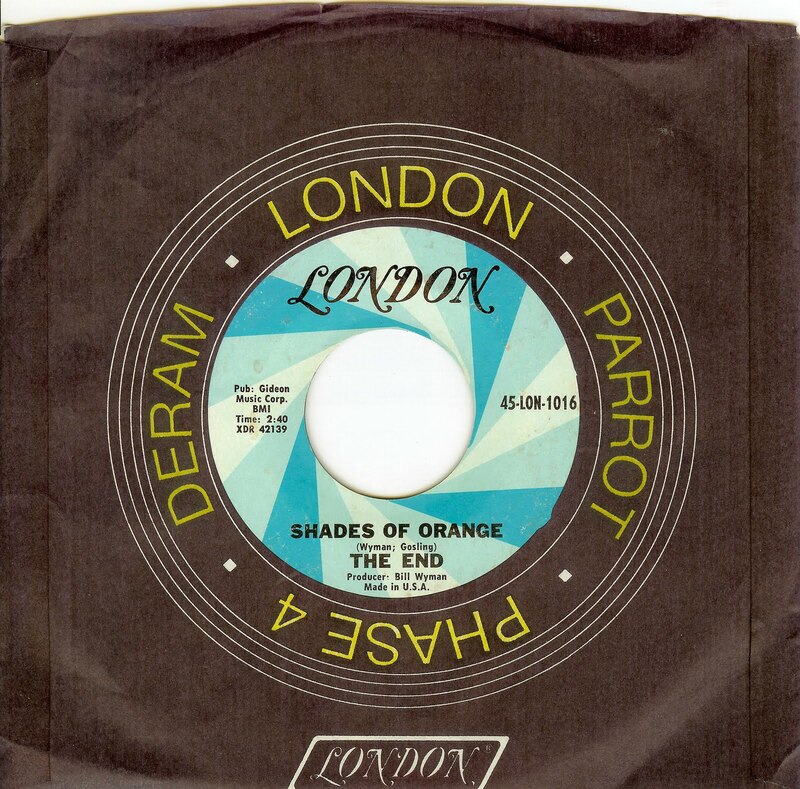 The End also released a full LP with the assistance of Wyman that is highly collectable. The success of the Chi-Lites brought about a glorious resurgence of group harmony within the already fertile Chicago soul scene, spawning a whole crop of fabulous records. 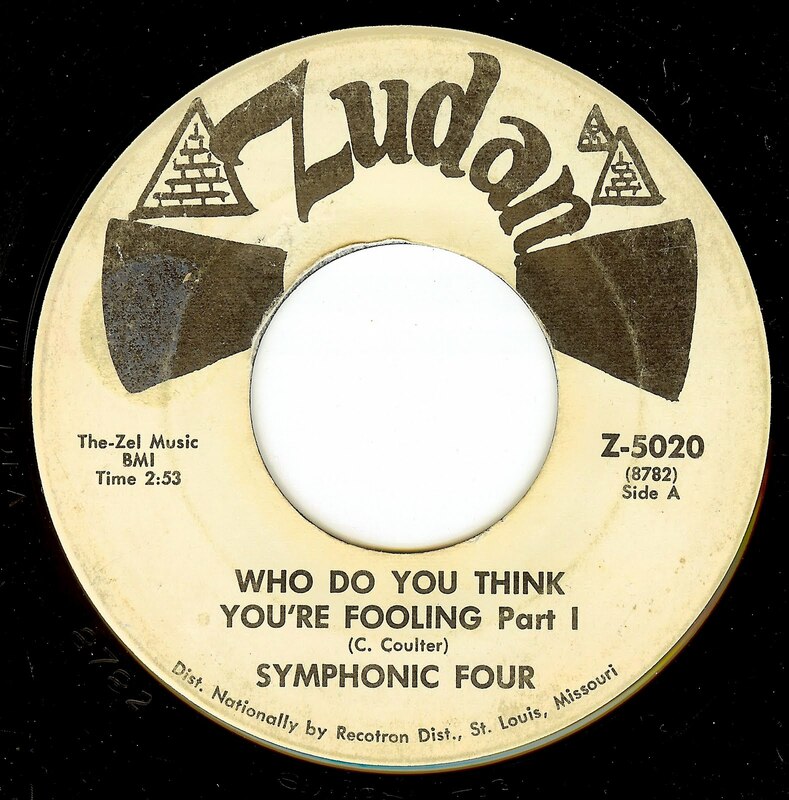 Given the sound, it's no surprise that the record was produced by Willie Henderson (he worked often with Carl Davis on arrangements for the likes of The Chi-Lites and Barbara Acklin to name but two). Other than the fact of two releases on the Dakar label, I'm afraid that I know nothing of the Visitors. Thankfully, we have this reminder of their fabulous sound, which rates in the upper echelon of sweet soul. There's nothing like these HOT records made in the mid-60's, which find seasoned hard blues singers adopting then current (and in this listener's ears timeless) uptempo, uptown soul sounds. 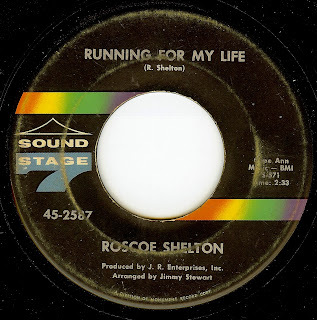 Any way you look at it, this record cooks relentlessly for 2:33 and Roscoe Shelton's strongly passionate performance DOES sound like he's running for his life. Born and Lynchburg, Tennessee Roscoe Shelton's career spanned from 1949 (where at age 18 he joined gospel group The Fairfield Four in Nashville) and ended in 1969 when he left the music business to work at a Nashville Music College, which he did until he began singing again with The Excello (Records) Legends group. 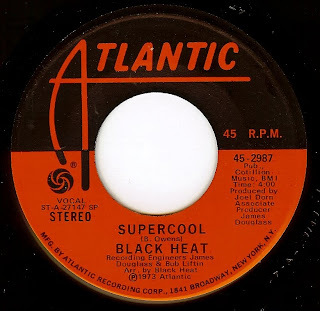 Making itself known with one of the most incredible, dramatic intros in all of soul music, this East St. Louis group allegedly traveled to Detroit to cut this record, and legend has it they were backed by the Parliament/Funkadelic crew. 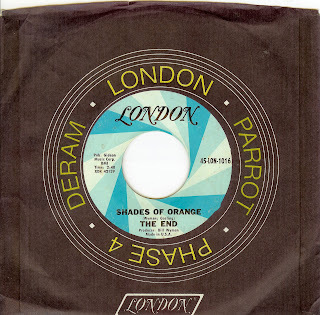 This is easy to believe, as it has a sound very similar to the sides they were cutting in 1968-69. I debated on whether or not to include part 2, but listening to it again this morning, and hearing the spoken, echoed piece that the lead singer lays out made it necessary to post both sides. A haunting, epic record. I have a new column over at the incredible Bedazzled! Blog...Derek's Weekly 45! 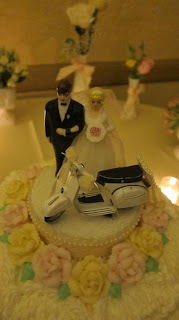 Thanks to Cookie @ Bedazzled, I have another forum to keep the hits coming, both in reposts and Bedazzled exclusives. Be sure to check it out; if you haven't seen Bedazzled, it's a treasure trove of vintage media that's always fun and awe inspiring. I'm glad to be a part. 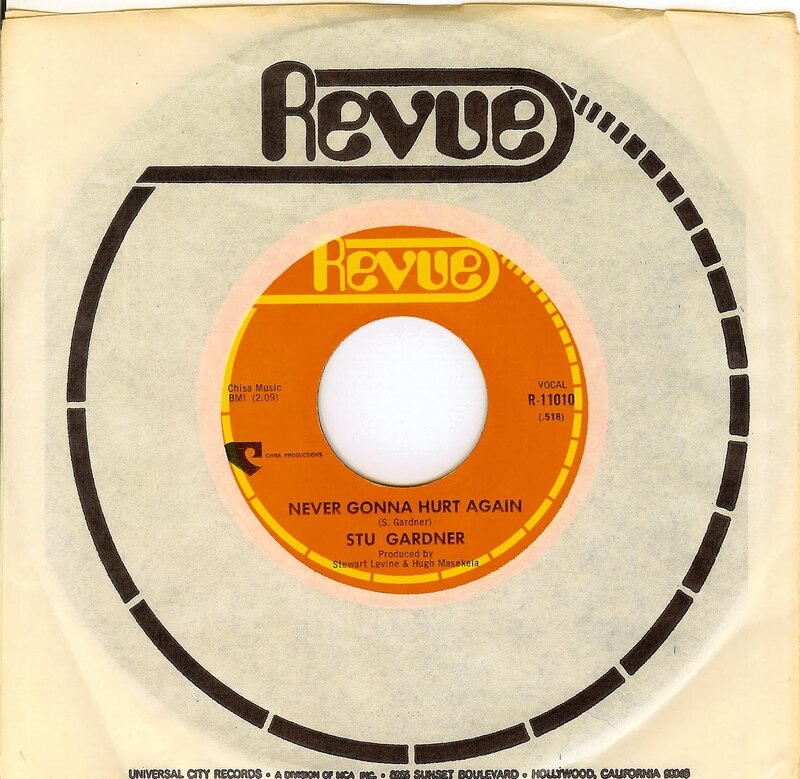 Eventually going on to success as a TV music writer in the 80s (most notably the Cosby Show and offshoots), here we find Stu Gardner helped out by folks such as Hugh Masekela and Wayne Henderson laying out some seriously hot soul in the late 60's. While this record was cut in Los Angeles, it sounds straight out of Memphis and could easily be lumped in as a Stax/Volt track. 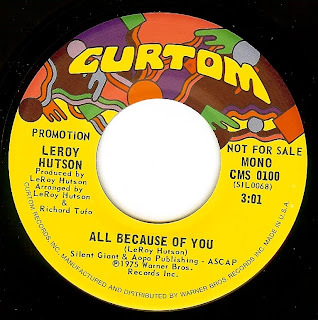 With an impressive resume which not only includes a major collaboration with Donny Hathaway (on Donny's massive hit "The Ghetto"), and also a stint as Curtis Mayfield's replacement in The Impressions, it's a wonder that Leroy Hutson isn't a better known name. This delightful track starts out with a fabulous drum break which is a killer lead in for this smooth but bouncy track that oozes sensuality. 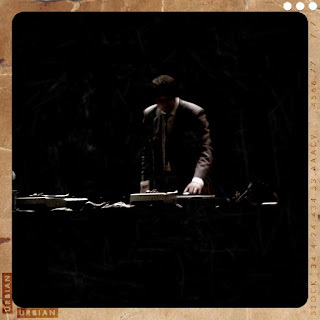 While I always try to give my favorite cities (and musical styles) equal time, I've been neglecting DETROIT as of late. Today's entry will rectify that, as it's a corker! We last heard from Leah on this site with her innuendo-laden 'My Mechanical Man', and as then as is now, I still don't know anything about her other than she was one of the fine artists working and recording in the mid 60s motor city. On this track, she shows the powerful side of her voice, that sounds as if it's pushing the VU meters well into the red (as does the snare drum) and leaving behind a trail of blown out microphones. 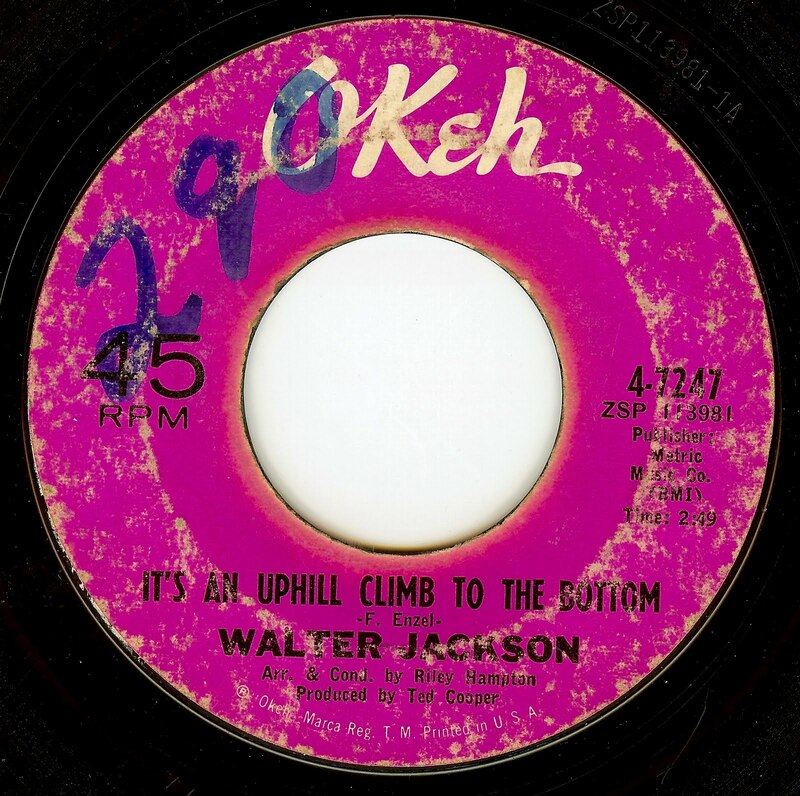 While much of Walter Jackson's music was on the pop side of soul (including this cut), his voice has so much depth and power that it puts him into a class of his own. The melodica heard playing the haunting melody on the intro just gets me every time; what a lovely song. 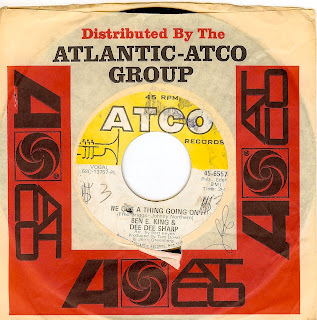 The treasure trove of Jamaican covers of American soul classics is a deep well upon which I have barely scraped the surface, but occasionally I find some gems. 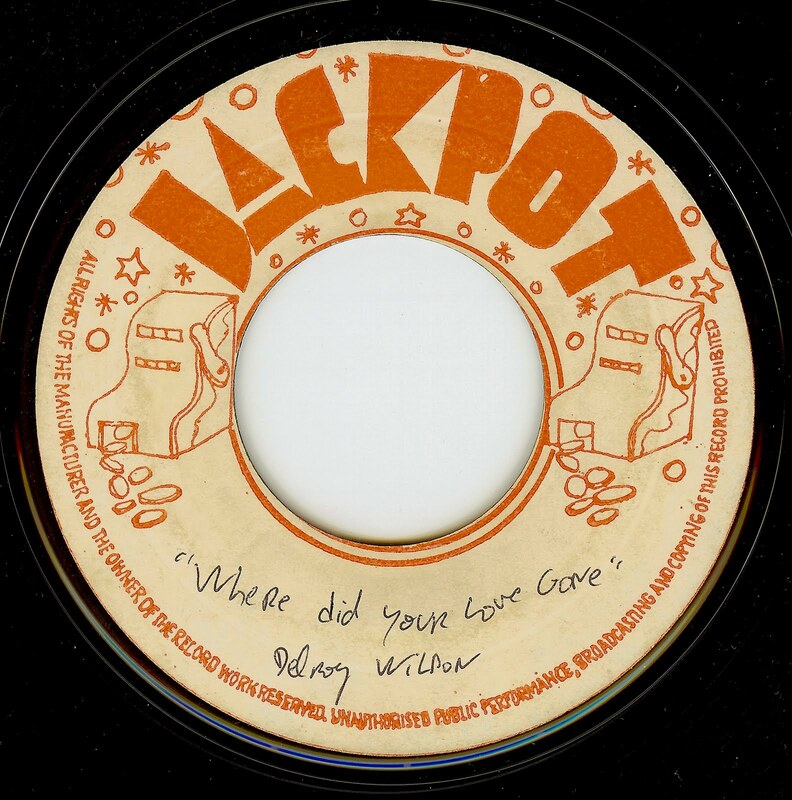 Delroy Wilson's career started when he was 13 years old (1961) with legendary producer Coxsone Dodd, and as his voice matured his material did as well. Delroy had a fruitful career until his death at far too young of an age (46). The track, of course, is (an incredible) take on the Supremes hit from 1964. 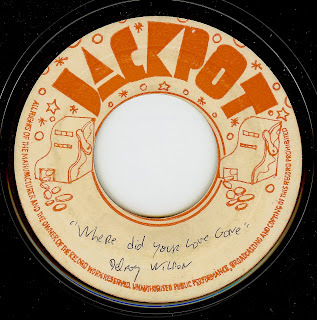 While the handwritten label on my copy changes the title to "Where Did Your Love Gone", I have also seen images of the label where the track is simply called "Your Love". 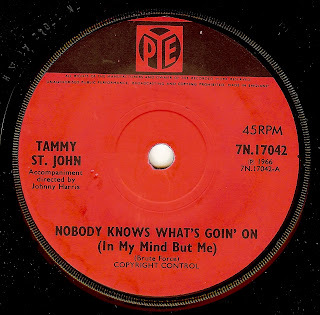 Originally recorded by the Chiffons (and also a past 45 of the day), this great track was given a British injection of pure beat power for this cover from teenage singer Tammy St. John, while still keeping just a touch of the dreamy, proto-psychedelic vibe of the Chiffons original. 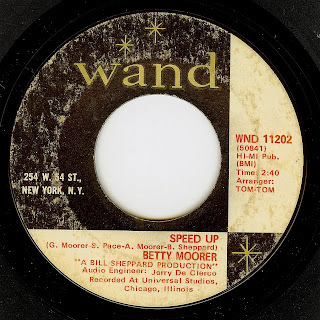 As a member of Milwaukee-by-way-of-Chicago soul group The Esquires (of which her brother Alvis was also a member), Betty Moorer had a great taste of success with their first Chicago production "Get On Up". 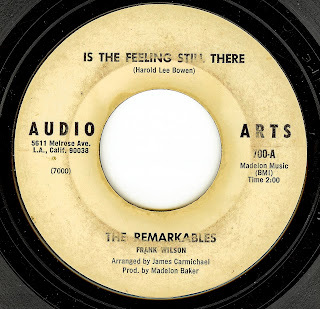 While on the surface it may seem like an overnight success, the Esquires were formed in 1957 and saw their first (ultra obscure) release in 1962! The group was signed by Chicago producer Bunky Sheppard. Here, we find Betty Moorer stepping out front as leader (with the Esquires providing gorgeous vocal backing) with stellar results. This cut has a dreamy, otherworldly quality that draws me in to a hypnotic vortex for two minutes thirty nine seconds. Since my last Paul Sindab post, this singer is still as much of a mystery figure as before. The only info I can dig up is that he was based in New York City. This track has a fantastic uptempo classy sound, and those stop start sections are to die for! 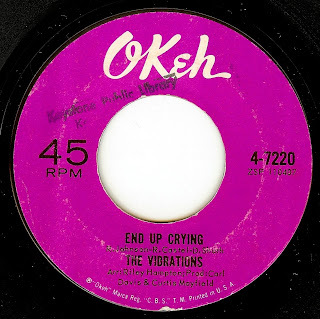 Hailing from suburban Sussex (south of London), this group released THIS; one of the most fierce English r&b singles of the 60's. 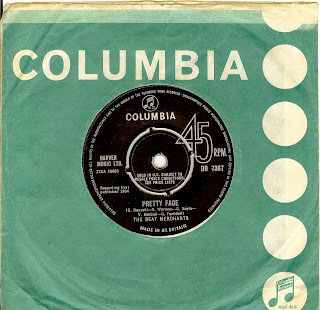 The group was popular enough in the south coast area to have their choice of signing to either Decca or Columbia, but this single only scraped into the UK top 50. Perhaps it was just TOO raw and too ahead of its time. 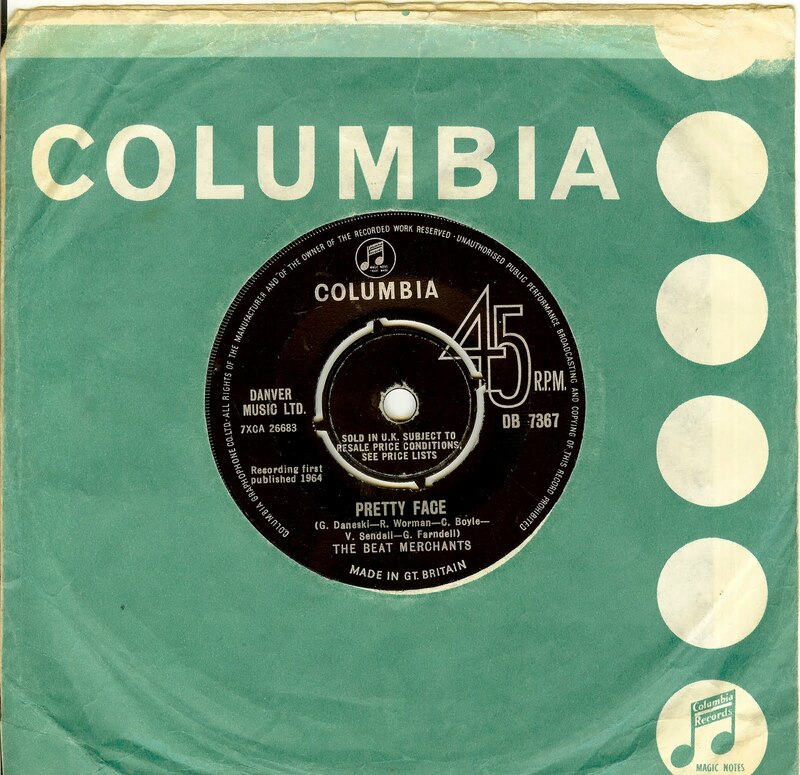 The group only stuck around long enough to cut one more single, the relatively subdued "So Fine". 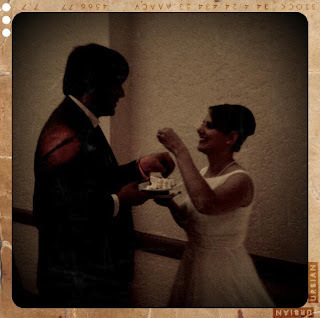 For our wedding guests, Angeline & I put together a comp CD of our favorite tracks that are all about love. Not all gooey and mushy, either! We humorously fought over what was gonna be on it, and we finally pared it down to 80 minutes. Frankly, it's too good not to share with the world, so for all of our friends (and if you are checking out this site, we consider YOU a friend) here's our gift to you. Hope you enjoy it. 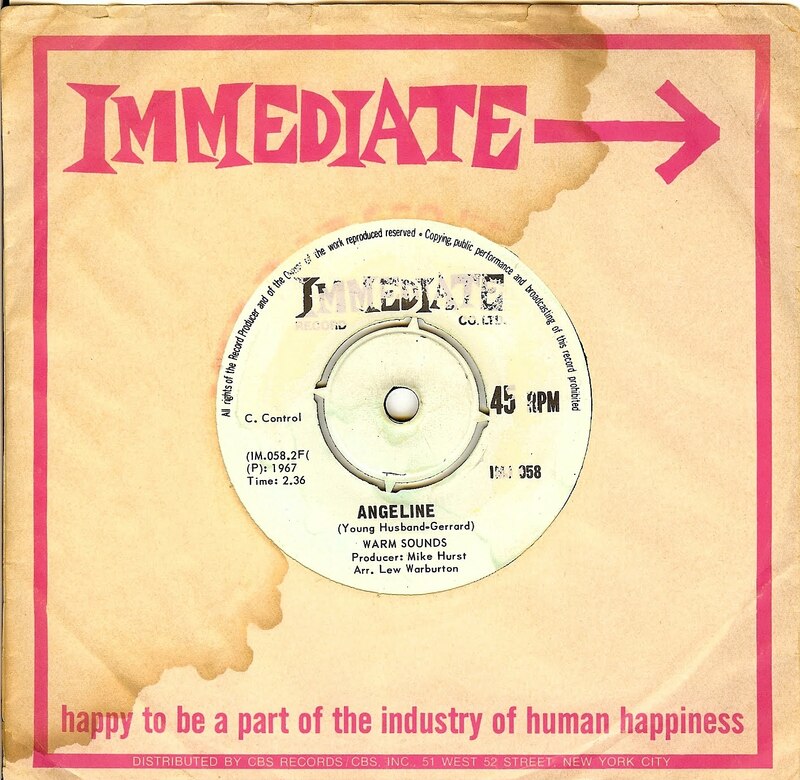 Angeline's words on the cover sum it up: "It is an understatement that we LOVE music. It is woven into our DNA, been played in our ears from an early age and is a part of our everyday lives. Come to our home and you will see thousands of records, 45's and CD's. Music is who we are and binds us as a couple. In the spirit of love and sharing, we went through our collection and hand chose 28 (plus one bonus track) of our favorite love songs for your enjoyment. Sit back, enjoy and fall in love with these gems." During Minnie Ripperton's early career (just after she was a member of the Gems and just before Rotary Connection) she cut this one off single under the pseudonym Andrea Davis with legendary Chicago producer Billy Davis. Minnie's career began at a very young age (she joined the Gems at age 15, and was 16 when the Gems cut the backing vocals on Fontella Bass' "Rescue Me") and tragically her life ended far too young as well, dying of cancer at age 31. This record is a fine example of her powerful voice, and also another testament to the magic of Chicago soul. 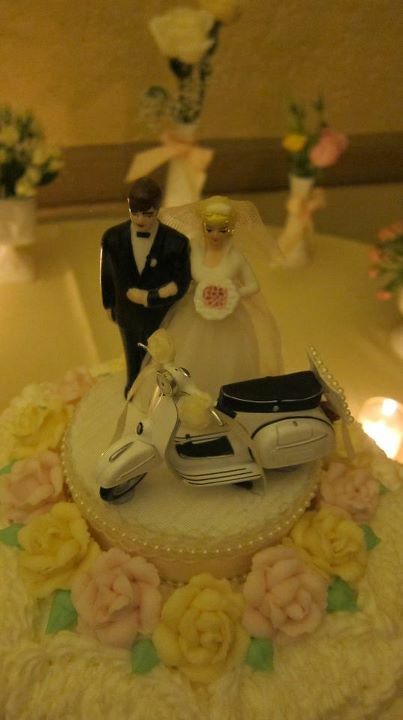 Here's my set from the wedding. Short and sweet. Lots of planning went into the song choices; definitely some that are very important messages to my bride, and a few that are simply perennial "jump on the dance floor and throw down" jams. The setlist is included in the zip file. Wedding day, and I feel like the luckiest guy alive! I can think of no better song to post today other than this classic tune. 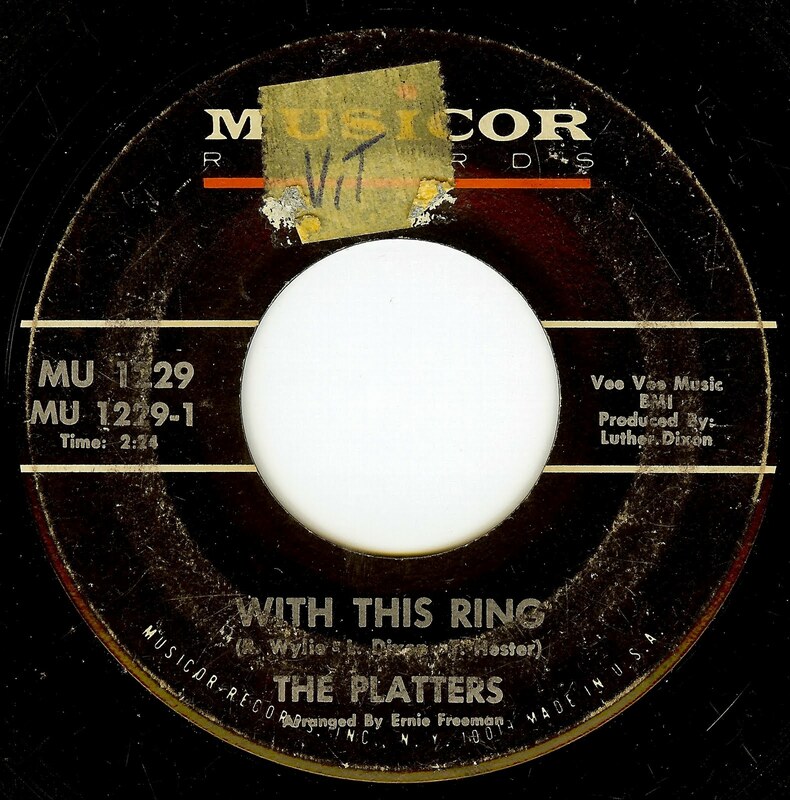 The Platters morphed from their doo-wop origins into a classy soul group that waxed some excellent sides in the mid 60's, although the road was a rocky one to say the least. The group saw a massive amount of personnel changes since their beginnings in 1953 (just as most long running vocal groups experience), and by the time of this release the only original member of the group was Herb Reed. 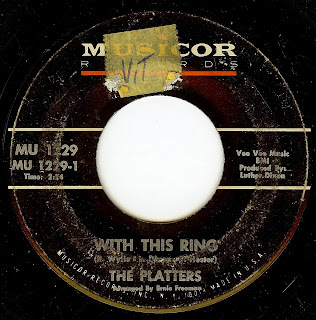 Nonetheless, the Platters (whoever they were at the time) morphed nicely into the soul sounds of the mid 60's. Since tomorrow is the day that my Angeline & I tie the knot, this is the perfect opportunity to post this charming song in tribute to her. I often think about how fortunate I am to have a lady in my life that understands who I am, and supports my eccentricities (such as record fanaticism). We're throwing a reception tomorrow night that some of my good pals (and myself) who DJ will be spinning the music, so it's gonna be a gas, gas, gas. As for the Warm Sounds? They were a UK duo (Barry Husband and Danny Gerrard) who sang the harmonies and both played guitar. 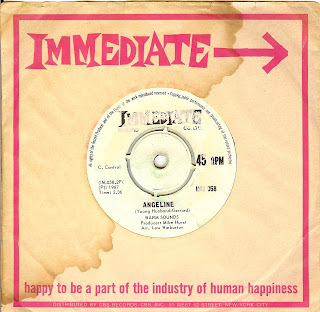 They released one single each on two of England's most important labels (Immediate and Deram). Husband later went on to be part of Donovan's Open Road band. New Orleans arranger/ musician/ producer Wardell Quezergue has passed away; Wardell was active in music up until the end. I can think of no better way to go. Wardell has worked with many artists, too numerous to mention (including The Pointer Sisters on "Send Him Back", an entry here a few weeks back). My personal favorite work of Mr Q's is with Willie Tee. These fellows waxed some stunning records together, such as the immortal "Teasin' You" and "Thank You John" (both past 45's of the day). 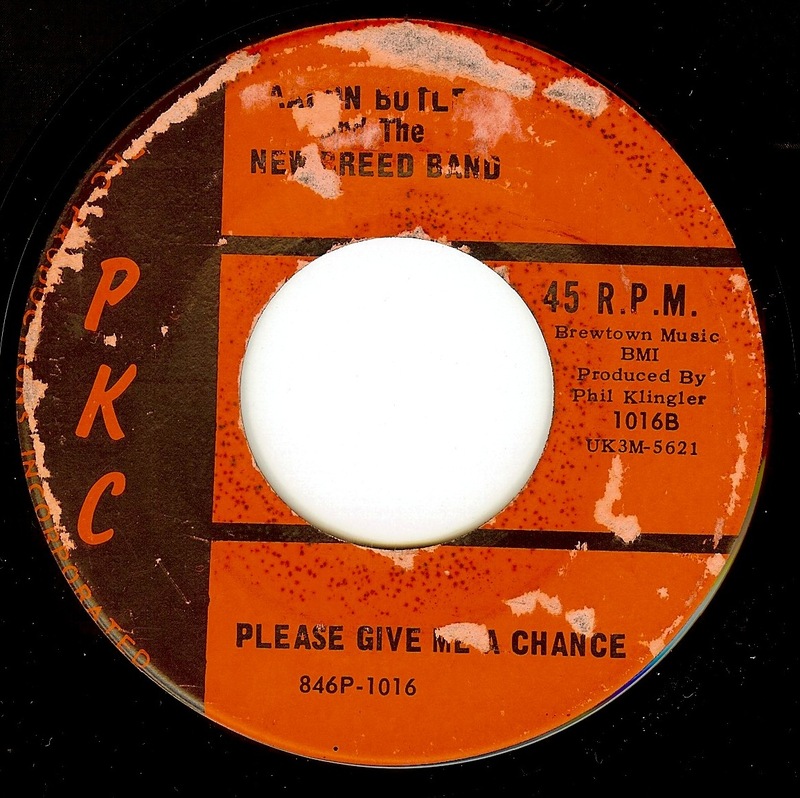 Today's selection is the b-side to "Thank You John" and in a gorgeous way it shows the way that these fellows were able to combine NOLA jazz with soul and create something completely otherworldly. While Wardell and Willie Tee may both be gone from this place, there music will live on. And on. Don't be a square: DIG QUEZERGUE! 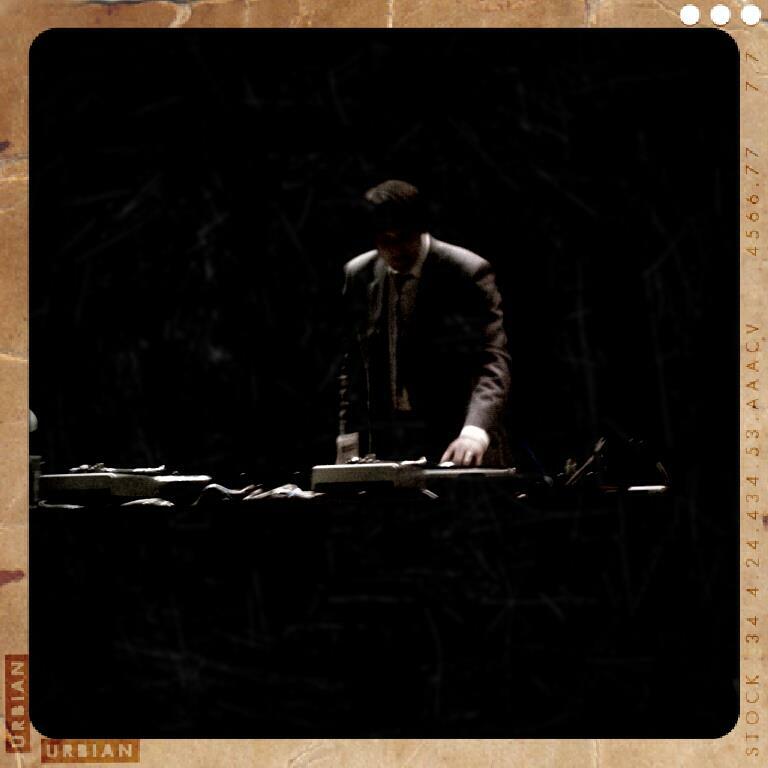 I featured all of my favorite Vibrations cuts relatively early on in the life of this website, but for some reason this amazing track almost fell through the cracks of oblivion. Los Angeles' Vibrations were THE standout vocal group in the city of Angels, and by the tine they began recording for Okeh Records in 1964, the group became (in my opinion) THE greatest west coast soul group, which peaked with their 1968 double sided monster "Cause You're Mine / I Took An Overdose". Practically everything they cut for Okeh in the ensuing years is brilliant as well. 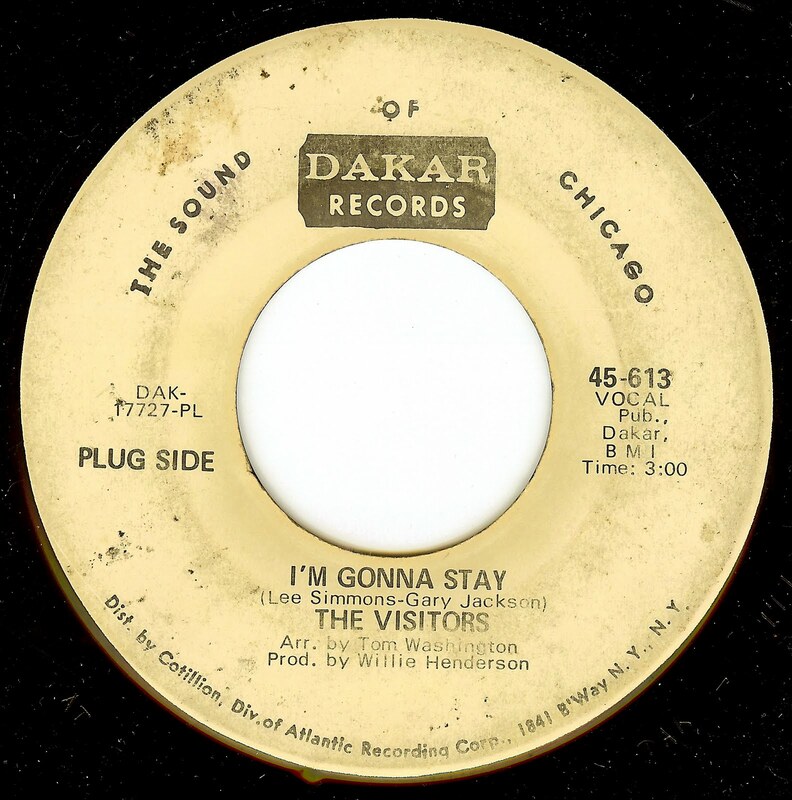 This side, recorded in Chicago, sees the group matched up with Windy City geniuses Carl Davis and Curtis Mayfield behind the mixing board, and future Vibrations releases bear an indelible Chicago soul stamp, mixed harmoniously with their west coast roots. I'm quite positive that, in the over 1,000 sides that I've featured here, that this is the first Milwaukee, Wisconsin cut that I've ever posted. Aalon cut two singles before moving to Los Angeles, where he became a part of the Eric Burdon Band around 1973. He also released a highly collectable album as a band called Cream City in 1977. THIS is the one for my ears though- who would have ever thought that such an amazing deep soul record could come out of a white man in cheese country? Just shows that music shows no boundaries. The other side is a fun uptempo number that clocks in well under two minutes. 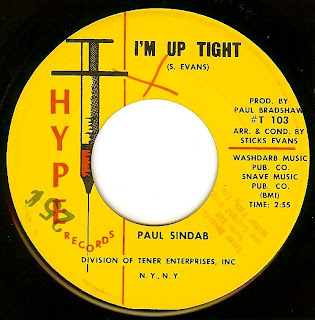 A rather mysterious group; they cut this single and one other for Twinight (produced by Syl Johnson). I'm afraid that I know nothing else, and can't find any other info. The grooves tell another story; one of a powerful, stomping Chicago soul record overlaid with some truly sweet and beautiful vocals. This is a great French psych/ beat dance floor stomper that was introduced to me by my friend (and one of my favorite DJ's) Major Sean, and what a cool number it is! 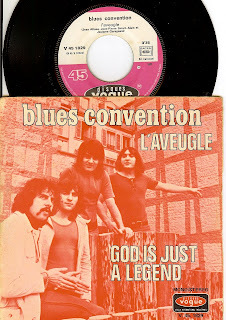 From what I can gather, Blues Convention were not together very long, but group members went on to more progressive groups in the 70's. Of course some songs sound better to us at particular times in our life, and perhaps it is because I am marrying the love of my life next Friday, but right now this song simply sounds like the greatest one ever recorded to my ears. But to be fair, if I were pressed, I could easily rattle off a few hundred songs within a few minutes that could be classified as the greatest ever. And that's not discounting the majesty of this particular track one bit. Journeymen performers Mel & Tim hit big with the great "Backfield In Motion" in 1969, after traveling from their home in Mississippi to Chicago where they fell under the wing of (hero) Gene Chandler. 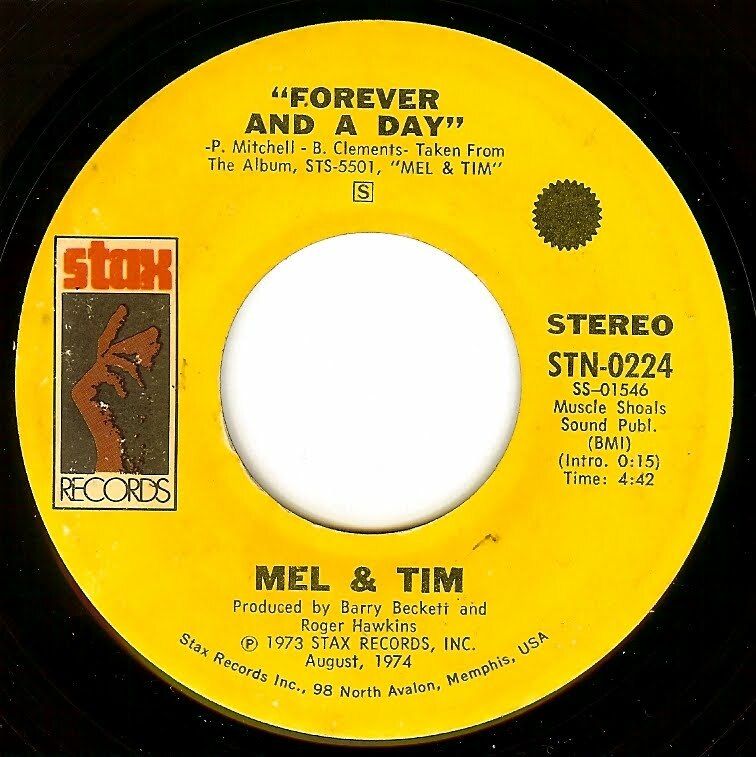 By the early 70's, the duo were recording for Stax, and for some inexplicable reason this record was not the massive success that it deserved to be.